With chapter 40, “Second Isaiah” begins with a message of renewed trust and hope to the Jewish exiles in Babylon. Our passage today seeks to stir up the memory of these exiles. Memory is essential for faith. It leads to the confidence proclaimed at the end of the passage. If they remember, the exiles can hope again. God has plans for them beyond exile. 40:21 Have you not known? Have you not heard? Has it not been told you from the beginning? Have you not understood from the foundations of the earth? 22 It is he who sits above the circle of the earth, and its inhabitants are like grasshoppers; who stretches out the heavens like a curtain, and spreads them like a tent to live in; 23 who brings princes to naught, and makes the rulers of the earth as nothing. 24 Scarcely are they planted, scarcely sown, scarcely has their stem taken root in the earth, when he blows upon them, and they wither, and the tempest carries them off like stubble. 25 To whom then will you compare me, or who is my equal? says the Holy One. 26 Lift up your eyes on high and see: Who created these? He who brings out their host and numbers them, calling them all by name; because he is great in strength, mighty in power, not one is missing. 27 Why do you say, O Jacob, and speak, O Israel, “My way is hidden from the LORD, and my right is disregarded by my God?” 28 Have you not known? Have you not heard? The Lord is the everlasting God, the Creator of the ends of the earth. He does not faint or grow weary; his understanding is unsearchable. 29 He gives power to the faint, and strengthens the powerless. 30 Even youths will faint and be weary, and the young will fall exhausted; 31 but those who wait for the Lord shall renew their strength, they shall mount up with wings like eagles, they shall run and not be weary, they shall walk and not faint. 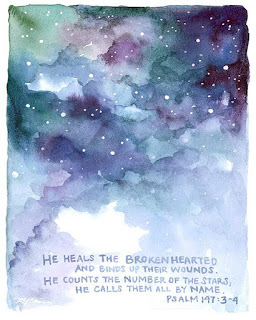 Our psalm is a song of praise of the God who is creator and healer, the One who “heals the brokenhearted and binds up their wounds.” Given verse 2, it is clear this psalm comes from the same period as Second Isaiah. in those who await his gracious favor. [21c] Hallelujah! In the beginning of chapter 9, Paul has agreed with the Corinthians that he is free, just as they are. This truth even has the authority of Scripture (vv. 8-12). But in our passage, he declares that this freedom must not be used to the detriment of the spread of the gospel. We must be willing to set aside our freedom for the sake of others, particularly the weak in faith. We are free, but we are also responsible to and for one another. 9:16 If I proclaim the gospel, this gives me no ground for boasting, for an obligation is laid on me, and woe to me if I do not proclaim the gospel! 17 For if I do this of my own will, I have a reward; but if not of my own will, I am entrusted with a commission. 18 What then is my reward? Just this: that in my proclamation I may make the gospel free of charge, so as not to make full use of my rights in the gospel. 19 For though I am free with respect to all, I have made myself a slave to all, so that I might win more of them. 20 To the Jews I became as a Jew, in order to win Jews. To those under the law I became as one under the law (though I myself am not under the law) so that I might win those under the law. 21 To those outside the law I became as one outside the law (though I am not free from God’s law but am under Christ’s law) so that I might win those outside the law. 22 To the weak I became weak, so that I might win the weak. I have become all things to all people, that I might by all means save some. 23 I do it all for the sake of the gospel, so that I may share in its blessings. Healing stories are central to Mark’s Gospel. 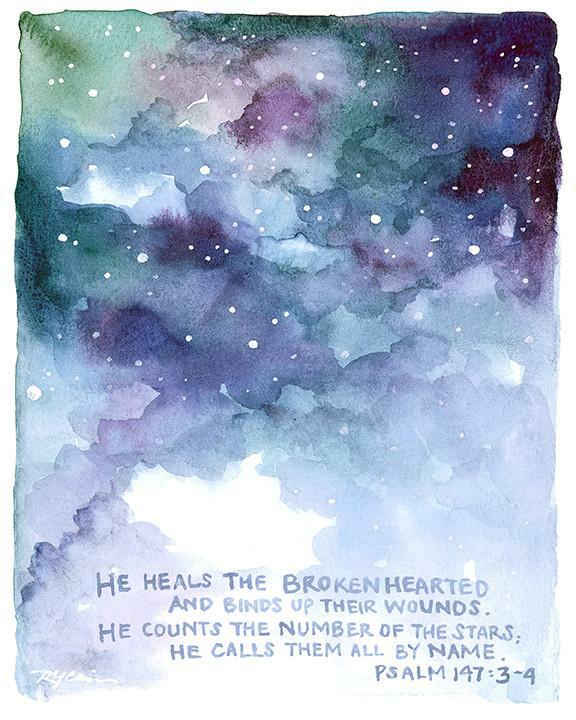 His Gospel is the shortest, but he tells more healing stories than the others. For Mark, Jesus’ proclamation of the message of the Kingdom of God is enacted in healing. When the kingdom is at hand people are freed from the forces that oppress them. 1:29 When Jesus and his disciples left the synagogue, they entered the house of Simon and Andrew, with James and John. 30 Now Simon’s mother-in-law was in bed with a fever, and they told him about her at once. 31 He came and took her by the hand and lifted her up. Then the fever left her, and she began to serve them. 32 That evening, at sundown, they brought to him all who were sick or possessed with demons. 33 And the whole city was gathered around the door. 34 And he cured many who were sick with various diseases, and cast out many demons; and he would not permit the demons to speak, because they knew him. 35 In the morning, while it was still very dark, he got up and went out to a deserted place, and there he prayed. 36 And Simon and his companions hunted for him. 37 When they found him, they said to him, “Everyone is searching for you.” 38 He answered, “Let us go on to the neighboring towns, so that I may proclaim the message there also; for that is what I came out to do.” 39 And he went throughout Galilee, proclaiming the message in their synagogues and casting out demons.